The Pradhan Mantri Awas Yojana (PMAY) Credit Linked Subsidy Scheme (CLSS) – ‘Housing for All’ is a home loan scheme launched by our honourable Prime Minister Shri Narendra Modi. The scheme envisions ‘Housing for All’ by the year 2022. It benefits people belonging to the Economically Weaker Section (EWS), Low Income Group (LIG), Middle Income Group-I (MIG-I), and Middle Income Group-II (MIG-II) of society. Beneficiaries availing this scheme are eligible to avail interest subsidy on the purchase or construction of a house or the enhancement of dwelling unit. Pradhan Mantri Awas Yojana (PMAY), with two components Pradhan Mantri Awas Yojana (Urban) (PMAY-U) for the urban poor and Pradhan Mantri Awaas Yojana (Gramin) (PMAY-G and also PMAY-R) for the rural poor, is an initiative by Government of India in which affordable housing will be provided to the urban poor with a target of building 20 million affordable houses by 31 March 2022. This scheme is converged with other schemes to ensure houses have a toilet, Saubhagya Yojana electricity connection, Ujjwala Yojana LPG gas connection, access to drinking water and Jan Dhan banking facilities, etc. Cumulative total number of funded houses approved thus far is 39, 25,240 in urban area including the subsumed RAY scheme and completion of construction of 5 million rural houses by March 2018 and 10 million rural houses by March 2019 (Feb 2018). Condition for PMAY: (a) Beneficiary max age 70 years, (b) EWS (Economic Weaker Section) annual income Less than Rupees 3 Lac and LIG (Lower Income Group) Annual Income 300001 to 600000 Lac INR as well as Mid Income group since Feb 2017, and (c) The beneficiary should not have an own dwelling unit on the name of any family member in any part of India The houses given under this scheme will be owned by females or jointly with males. After the loan is disbursed, the LENDER BANK/NBFC will claim subsidy for eligible borrowers from National Housing Bank (NHB). NHB after due diligence would approve & credit the subsidy amount to LENDER BANK/NBFC for all eligible borrowers. Aadhar number(s) of the beneficiary family are mandatory for MIG category. The interest subsidy will be available for a maximum loan tenure of 20 yrs or the loan tenure whichever is lower. The interest subsidy will be credited upfront to the loan account of beneficiaries through LENDER BANK/NBFC resulting in reduced effective housing loan and Equated Monthly Installment (EMI). The Net Present Value (NPV) of the interest subsidy will be calculated at a discount rate of 9 %. There is no cap on the loan amount or the cost of the property. You can apply for an attractive offer with best possible rate of interest and terms for Personal, Business and Home Loan. 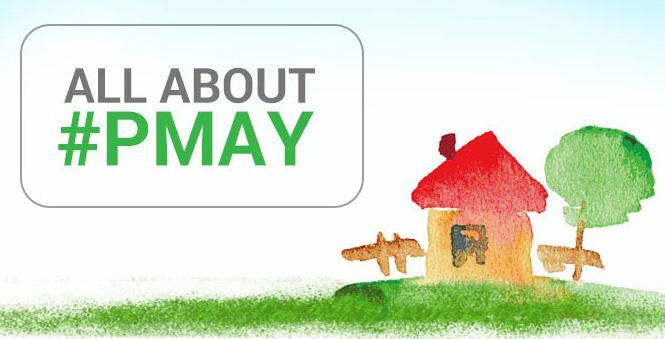 How will I receive the interest subsidy benefits of PMAY?